You'll find a ton of free Christmas music downloads in the list below. This free Christmas music is legal and available for download as MP3s. Put them on any device and have your holiday tunes ready to go whenever you want to listen. There's something for everyone on this list, and you'll find classical, traditional, and even modern downloads that the whole family will enjoy. They make a great backdrop for your holiday gatherings and festivities. 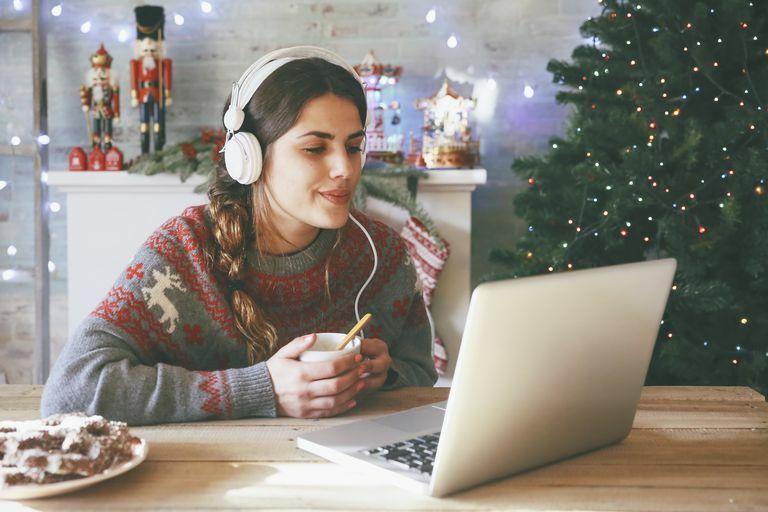 While these are places you can download free Christmas music, you can also stream free Christmas music on your computer. After you grab some free music, check out our list of Christmas computer wallpapers. After the holidays are over, you can find more places to download free music, stream free music, or get a free music app so that you can enjoy all year around. Feels Like Christmas features a large number of legal, free Christmas music downloads. Choose the category you're interested in, and click on the title of the song to open a player in your browser. From here you can download the song. There are also a few free Christmas audio stories here as well if you'd like something other than music. Amazon has almost one hundred free Christmas music downloads available when it gets closer to the holidays. You'll even find some complete Christmas albums here that are free for download. To download the music at Amazon, click the Free button and continue with your download. ChristmasGifts.com has a small but nice selection of free Christmas music. These are MP3 tracks that can be downloaded right to your computer. Download this music by simply clicking on a title and saving that song to your computer. Songs of Praise has a nice collection of free Christmas music that's a mixture of MP3, WMA, and Flash downloads as well as some free Christmas music that's only available as streaming. These are free spiritual Christmas songs that may be just what you're searching for. Click on the title of a Christmas song and you download the MP3 file for free. You'll find a nice set of free Christmas music here including Jingle Bells, Angels We Have Heard on High, The First Noel, Joy to the World, Silent Night, and, What Child is This. At Uncle Dave's Xmas Tunes, there are MP3 and MIDI files of free Christmas music that you can download or play right from the website. The downloads include The First Noel, The Twelve Days of Christmas, We Wish You a Merry Christmas, The Holly and the Ivy, O Holy Night, Silent Night, Deck the Halls, and​ Carol of the Bells. NuBeat Music has quite a few complete Christmas albums that are free for you to download or stream from your computer. NoiseTrade has two pages full of holiday and Christmas music albums that are all free for you to download and stream. You'll need to provide your email address to get the free Christmas music downloads but then you can download as many as you like.